Good evening.＊ Happy new year! 2018 is the year of the dog… I want it to be a more busy and fulfilling year!! I will give my all! 1st gen, 2nd gen, 3rd gen… I want to continue to deepen our bonds. 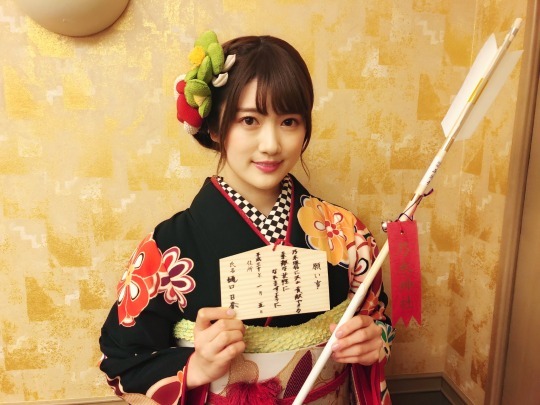 And today we celebrated coming-of-age at Nogi shrine!!! Six of us of the same age. 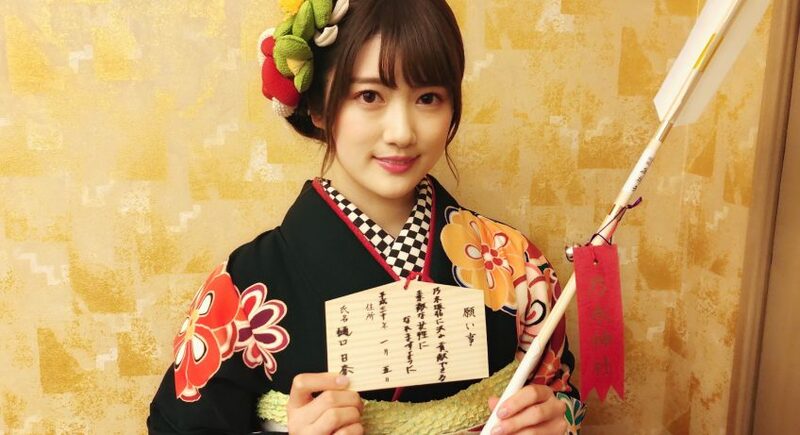 I wore a furisode with a vivid and large pattern on black cloth. 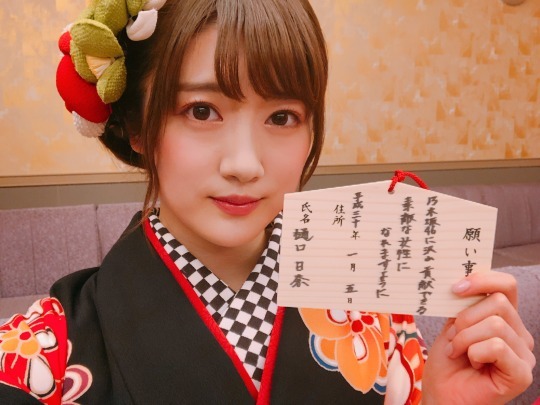 “I hope to become a fine woman that can contribute to Nogizaka46”. In this years spring, I will perform in a musical for the first time. From now on I want to focus and make an effort with all my might. 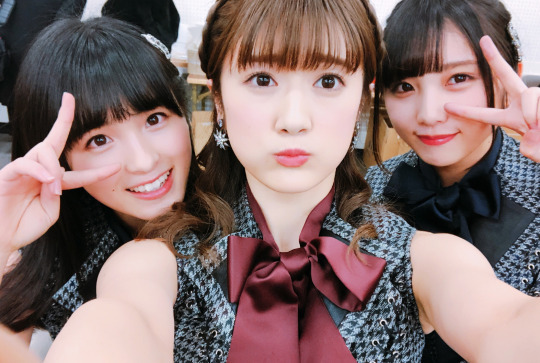 After welcoming my coming of age… I will try to become a fine woman full of charm and strengthen my own abilities, have more enriching jobs, and become able to contribute a lot to Nogizaka46! Everyone, please continue to support me! – Starting tonight! 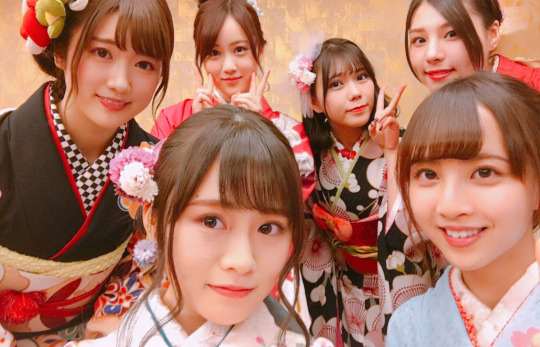 5th January (Friday) – 12th January (Friday) every Friday at 0:15 on Asahi TV “ParipiTV”, with Ranze and Miria! 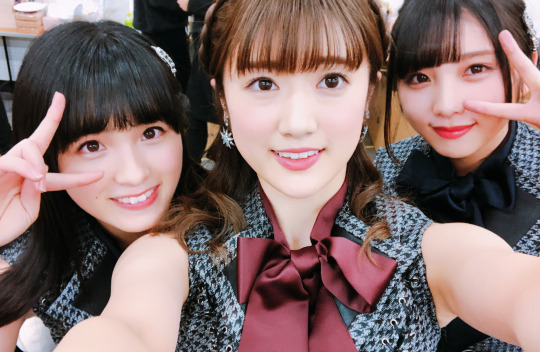 – 7th January radio “Nogi no No” with Ranze and Miria! 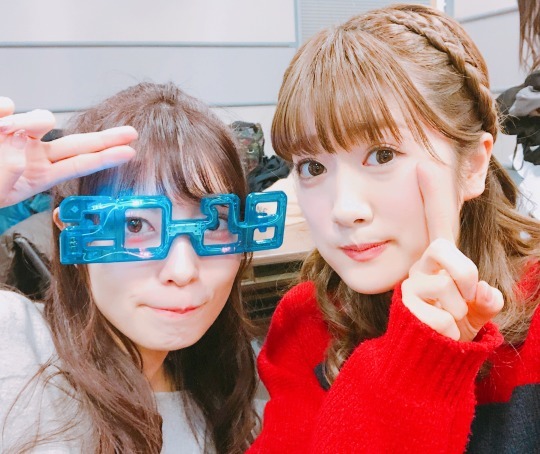 Because I totalled the list yesterday, the Birthdays are up to the 4th of January… but I will congratulate the fans with Birthdays on the 5th of January in the next blog!